The ruling All Progressives Congress (APC) yesterday alleged that the former President Olusegun Obasanjo was facilitating an entry visa for the presidential candidate of the Peoples Democratic Party (PDP), Alhaji Atiku Abubakar, to visit the United States (US). APC, in a statement by its Acting national Publicity Secretary, Mr. Yekini Nabena, alleged that the moves was aimed at creating the impression that Atiku was incorruptible and suitable to administer the country. 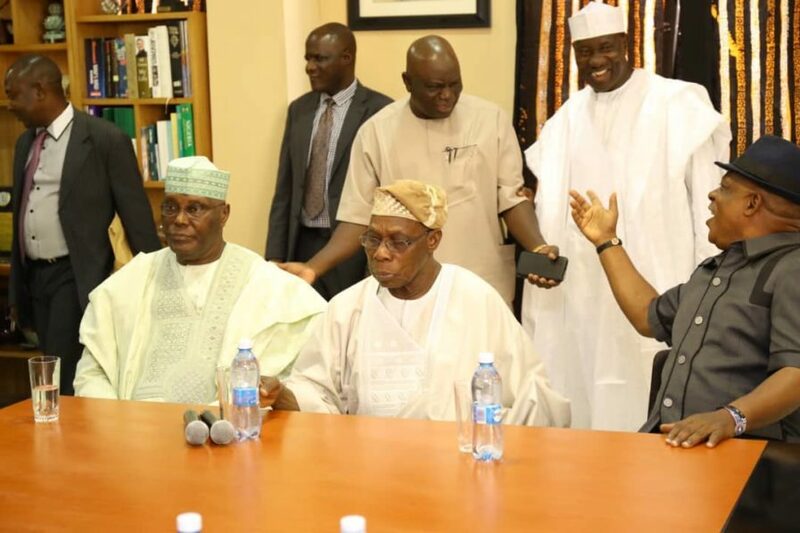 The party maintained that Obasanjo’s intervention in Atiku’s purported ban from the US was evidence of his hypocrisy and self-serving interest in national affairs, claiming that it was in possession of the report of the ban placed on Atiku from entering the US, following a 2005 $500,000 bribery scandal involved him, his fourth wife, Jennifer, and former US Congressman, William Jefferson. It claimed that the report by the US Senate Permanent Subcommittee on Investigations, chaired by Senator Carl Levin, reported that Atiku used offshore companies to siphon millions of dollars to Jennifer, while still the vice president of Nigeria between 2000 and 2008. The APC further stated that then President George Bush had on the strength of the report, barred Atiku and other corrupt politically-exposed persons from being issued visa to the US, a reason for which he has been unable to travel to that country till date.